However, there are some things that I can say with 100 percent confidence will make your job more difficult, and may even restrict sales. Below are four of the policies and management techniques that frustrate salespeople the most. I’ve seen these issues more times than I can remember during my 30-plus years of sales leadership and consulting. If any of these issues sound familiar to you, it might be time for self-examination. I can help you analyze your management technique and implement some impactful changes. Let’s connect so we can help you drop these bad habits. Everyone hates a micromanager. This isn’t exclusive to sales. 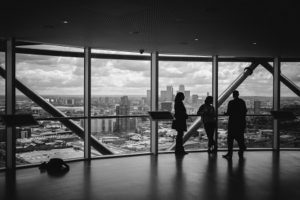 However, it seems to be prevalent among sales managers, especially those who have recently transitioned from being a salesperson into a leadership role. It’s understandable. The reason you were promoted to manager is probably because you were so successful as a salesperson. You have a recipe for success and you want your team to follow that formula, right down to the finest detail. The issue is that most salespeople entered the field because they value their independence. They want to solve problems on their own and develop solutions. They may appreciate and value your recipe, but you have to give them room to add their own ingredients. Pick the items of your process that are most important to you and focus on those. If a process or task isn’t a high priority, give your team leeway to approach it in their own way. Who knows? You may even learn some new things from your team members. Recognition consistently ranks in surveys as one of the most important things employees want in a job. It boosts morale, reinforces positive behavior, and increases feelings of loyalty and enthusiasm. However, recognition can have the exact opposite effect when it’s delivered inconsistently or to people who aren’t truly deserving. Sales people may think you’re using the wrong metric to drive your recognition. Or they may feel the wrong person is getting credit for a team effort. How do you correct this? Ask them. Have an honest conversation about recognition. What kinds of recognition do they want? Formal awards? Or casual pats on the back? What should drive recognition, and what are their issues with the way it has been delivered in the past? Recognition is a powerful motivation tool, but it has to be delivered the right way. I’ve found that open communication can solve almost any office dispute. The challenge is that your team members may not feel that they have the ability to question decisions or offer their input. That’s especially true if the communication and meeting style of the team is for you to provide instruction and for them to listen. This is an easy fix. In your team meetings, always save time for them to bring up questions and concerns. In one-on-one meetings, make sure you’re soliciting their input. You may even want to set up time blocks where team members can schedule 10 or 15 minute sessions to discuss anything that’s on their mind. Make communication a two-way street. Give your team plenty of opportunity to offer input and suggestions. You’ll increase their engagement and you’ll likely learn valuable new information to improve your team, your processes, and yourself. Failure to hold people accountable. This is a common issue on many sales teams, and it can also be a subtle force that compels top performers to listen to other opportunities. Perhaps more than any other business function, sales is all about performance and accountability. If you don’t perform, you don’t succeed. That’s the underlying premise of any sales operation. An issue arises though when not all salespeople are held accountable. That doesn’t mean every person has the same standards. A new rep taking over an underperforming territory wouldn’t and shouldn’t be held to the same benchmarks as your veteran superstar. 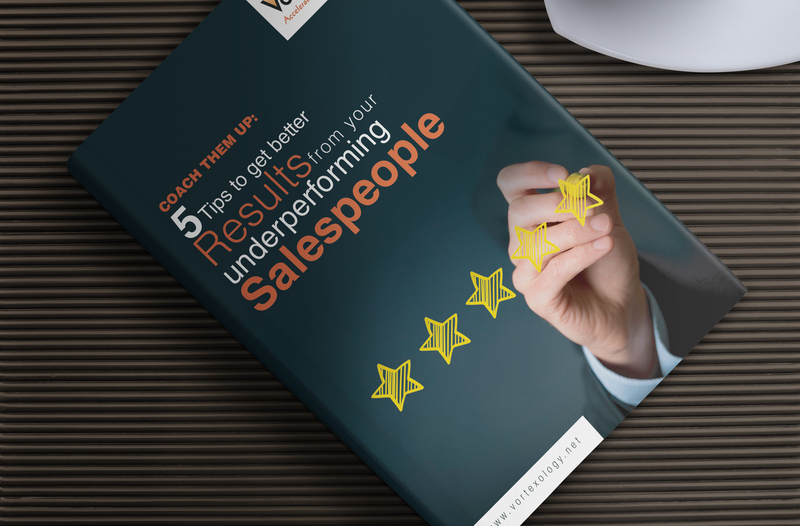 However, all salespeople should be held accountable for consistent underperformance. When that doesn’t happen, it breeds distrust among the team, especially those who feel like they’re carrying the team. As a manager, it can be hard to objectively see yourself and determine whether you’re holding everyone accountable to the level you should. Having firm policies in place surrounding performance can help. Those policies reduce the burden on you and minimize the risk of bias and unintentional favoritism. If you’re concerned that you’re not being consistent with accountability, ask for an outside opinion. I help managers and teams review their policies and their accountability protocols all the time. Worried that some of your habits and methods may be frustrating your team? Or are you a sales executive who has a manager who is struggling to connect with his or her reports? Let’s talk about it. I’m happy to offer a complimentary, no-commitment initial consultation. We can discuss your needs and challenges, as well as possible next steps. Let’s connect soon.